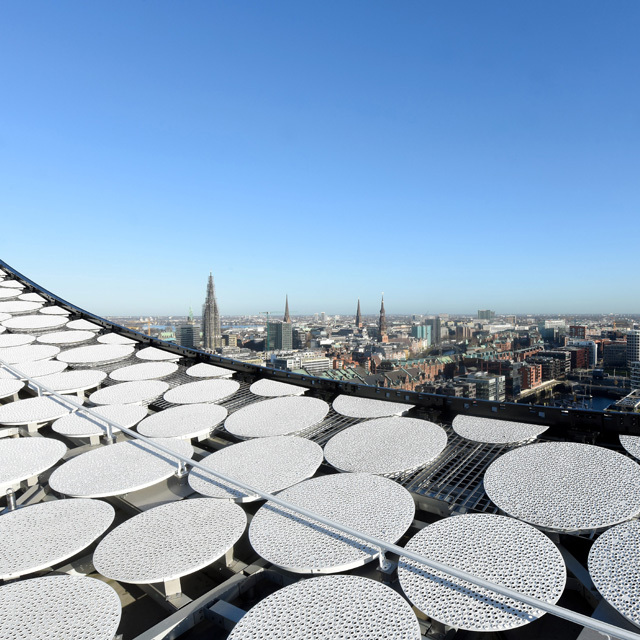 Building and construction - GDA - Gesamtverband der Aluminiumindustrie e.V. 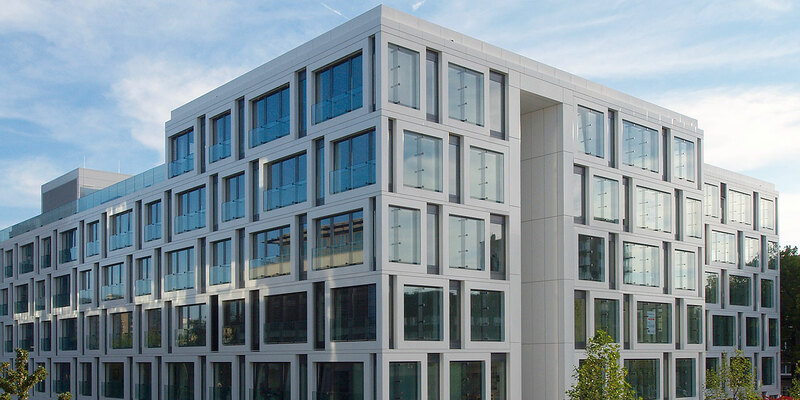 Over 500,000 tonnes of aluminium are used in building projects every year in Germany and for good reasons: whether it be from the point of view of the owner or the architect, aluminium fulfils the highest possible demands with respect to function, design and cost economy. Aluminium is light and at the same time offers maximum stability. One can build functionally and economically with aluminium. The metal allows rectilinear and organic designs. Aluminium is ecologically expedient and can be used sustainably. One is on the safe side with aluminium. This is because a benefit of aluminium is that it does not burn and does not form toxic gases or vapours. It has a melting point of 660 degrees Celsius, a temperature that is considerably higher than that of many other building materials, and thus offers optimal fire protection. In addition, aluminium windows and doors offer optimal burglary protection because of the stable profiles used. Aluminium is very light but at the same time very strong. This saves energy, makes it easier to process the metal and makes it possible to use an open-plan approach to produce a greater sense of space, a greater feeling of being alive and exciting, top architectural achievements. 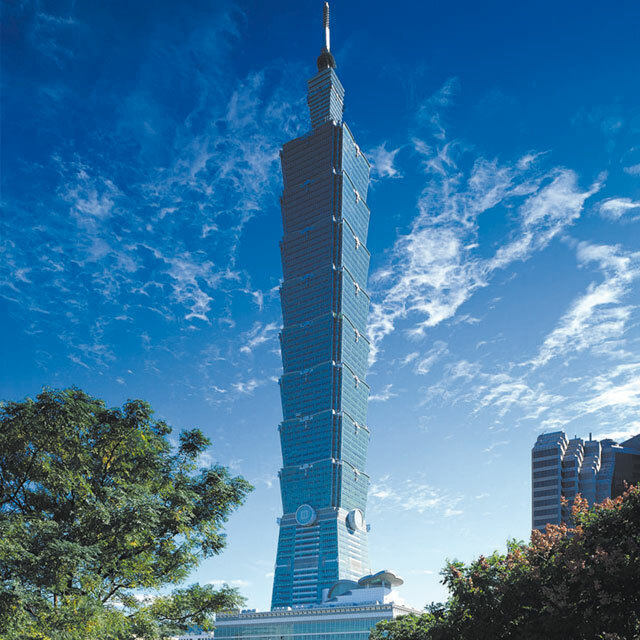 The world’s current tallest skyscraper, the 508-metre high Taipei 101, with its aluminium façade is thus capable of withstanding winds of over 200 kilometres an hour as well as seismic shocks measuring up to 5 on the Richter scale. Aluminium is also being used increasingly for very special solutions: such as bridge building and flood protection. 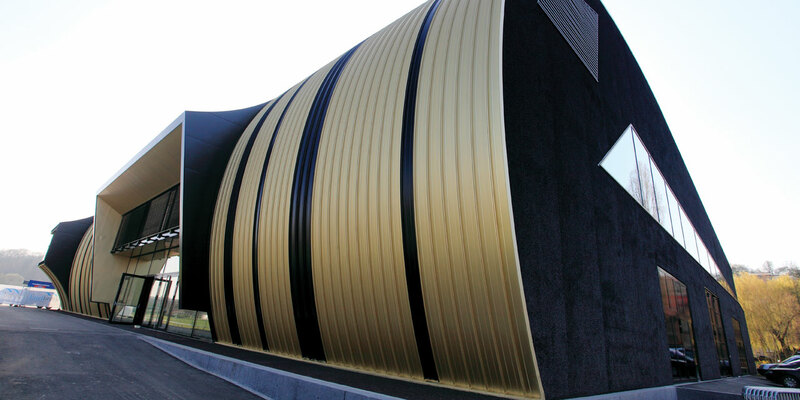 Heat and sound insulation can be implemented ideally using aluminium. Aluminium façades, windows and doors create pleasant ambient conditions in summer and are reliable when it comes to keeping out the cold in the winter months. Erection times can also be reduced significantly because the aluminium elements are prefabricated to a large degree at the plant and it is possible to transport larger components because they are lighter. Erection times at the building site are thus reduced considerably. Just as skin protects the body, so aluminium façades and roofs protect buildings against external environmental influences. Aluminium is characterised by very good corrosion resistance when exposed to the elements and can be used without any additional surface protection. This means aluminium offers a simple means of ensuring durability and low maintenance for decades. The surfaces can also be treated and decoratively finished using different processes. The construction of residential, office, administrative and industrial buildings is one of the most important areas of application of aluminium - from façades and roofing to conservatories and including windows and supporting structures. The skeletons of buildings and supporting structures are usually made out of steel or, where corrosion resistance and low weight are important, high-strength aluminium alloys. Aluminium can contribute significantly to improved energy efficiency. 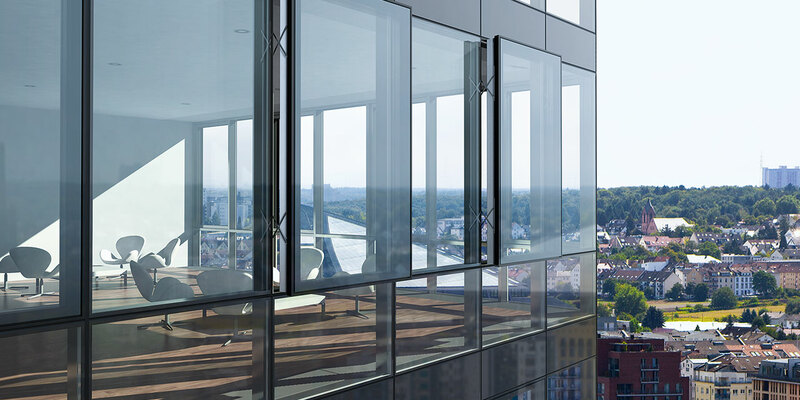 Such as with an additional layer of glazing positioned in front of an inner, thermally insulated façade. This enables the energy requirement to be reduced substantially compared with conventional buildings. Aluminium is increasingly being used for the frames and support structures of solar cells and panels because of its low specific weight. Numerous suppliers of solar systems now use the light metal exclusively. Aluminium façade elements are also in demand when solar units have to be integrated into buildings. Aluminium lasts for generations. And even when aluminium parts are dismantled, the material can be recycled without loss in a resource-conserving manner and then used again in a new application. 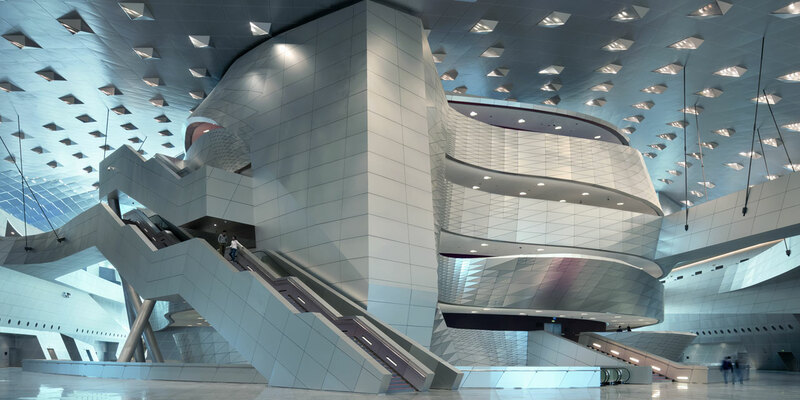 In this way aluminium contributes to more sustainability in building and modernisation. Building with ‘silver from clay’ began as long ago as the end of the 19th century, namely in 1897. The architect Lorenzo de Rossi, who was then working on San Gioacchino’s church in Rome, used aluminium sheet for the dome. De Rossi was convinced that the new material would last forever, and he has been proven right so far. The dome still does not show any signs of leaks or any form of material deterioration. Aluminium’s conductivity, which is three and a half times greater than that of conventional systems for conducting electricity, coupled with extremely high abrasion resistance is the basis for a particularly reliable supply of electricity to underground and suburban railways. It only requires a strip of stainless steel a few millimetres thick.